You are a perfect target for identity theft. 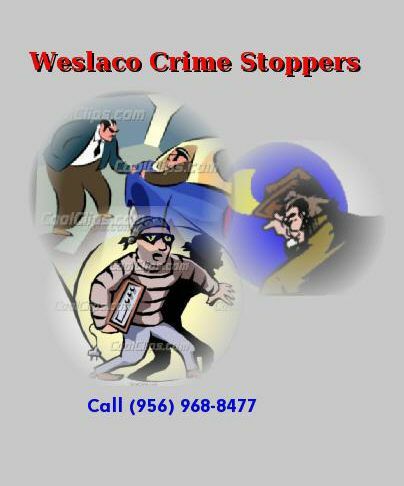 The "relative needs help" scam has been around for years, but it resurfaced just the other day in Weslaco. The telephone rings; the usually elderly person answers it. Believe it or not, it is her long lost relative "Richard." And wouldn't you know, Richard is in trouble. He is going to come by your house and talk to you about his problem. An hour passes-no Richard. He calls again. He cannot make it. So he cries on Grandma's shoulder. He's been in an accident; no one is hurt, but he can't call the police because everything on his car is expired. And he needs $$$ to satisfy the other driver. How much money? Only $900. And Richard says, "Here's what you need to do." Go to the bank, get cash, then go to the grocery and get a money gram. After two ties at different grocery stores, the third store is finally the charm. Richard has given Grandma the name of some unknown person in Jalisco, Mexico. Richard calls back; everything must be hunky-dory. Right? Not quite. Richard gave Grandma the wrong name. Now here is the new name, still in Jalisco. This time, only $500 will be plenty, and Richard will be OK. Did everyone live happily ever after? Well Richard did. He is $1400 richer. Grandma is not happy. She is $1400 poorer. She later found out her real relative "Richard" never called her. She is sad. But wiser (I hope). MORAL OF THE STORY: Never answer the telephone. ACTUALLY: Have a really close relative that you can trust and talk situations like this over with that relative or your banker, where you withdrew the money. There are more crooks out there than you have money to finance. A SCAM that surfaced in January has to do with a letter announcing that the recipient is a sweepstakes winner. The winner is asked to call a contact person who is actually a real person. In this case, the name he used was Bruce Peters. He advises the person to deposit a check into their own bank account and then send, by Western Union, a portion of the money to an address. Then shortly, this same crook tried to get the victim to send him more money. That caused the victim to get suspicious. The check deposited was worthless, the victim was out $1,500, and Bruce Peters is nowhere to be found. Don't fall for these unsolicited "get rich quick" schemes. Any time you are a winner, you should not have to fork over your own money to receive your prize or your personal information, such as a bank account number. Tell them to send you the money by Western Union. ATTENTION LADIES - Time after time, when criminals break into vehicles, they steal ladies' purses if they are there. It doesn't make any difference if the purse is slid under the seat; the crook will find it. It will be a little safer in the trunk. And ladies, DO NOT keep Social Security cards, birth certificates, and large amounts of cash in your purses. You can lose your cash and you also may become a victim of identity theft.